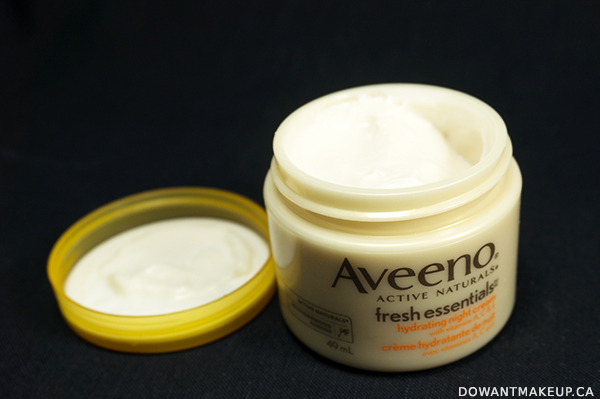 For a jar night cream, Aveeno Fresh Essentials Hydrating Night Cream was surprisingly lightweight. The ingredients between this cream and the Daily Moisturizer are quite similar, except that the Night Cream includes mango seed butter, a great emollient, pretty high on the ingredients list. It absorbed quickly and easily; when I touched my skin it felt like I wasn't wearing any product at all--in kind of a good way I guess? It wasn't that my skin still felt dry, but having dry skin, I'm used to heavier night products that leave my skin feeling slightly tacky. 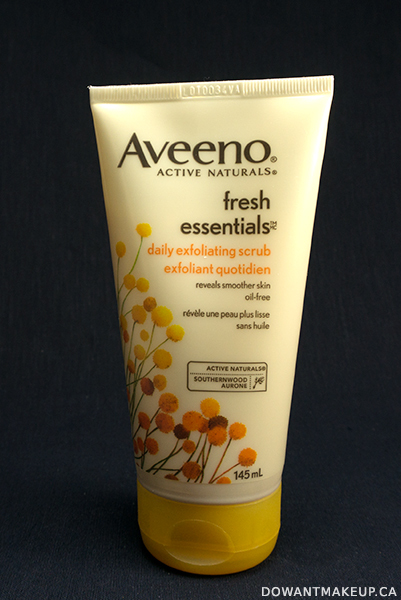 Actually, I really like the Aveeno Fresh Essentials Daily Exfoliating Scrub (it helps that it didn't irritate my skin!) It is recommended for daily use, but I used it only 2-3 times a week. I find daily physical exfoliation a little excessive--even if it's my Clarisonic, which I use only three times a week at most. The scrub is a very thick gel that uses coconut pulp and luffa to exfoliate. I was skeptical at first because the scrub felt super gentle; it felt more like I was massaging my face with some gel because I didn't really feel the beads scrubbing away at all. I was really impressed when I rinsed my face and found it to be softer and smoother! 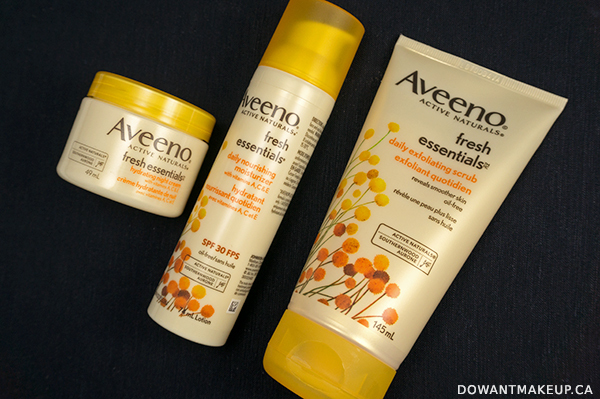 One thing I didn't like about all three products is the overwhelming fragrance. It's hard to describe but it's a very strong, powdery floral sort of scent. 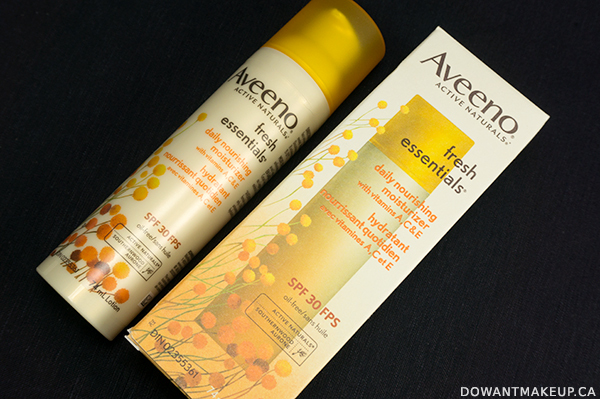 If you have the Aveeno Protect + Hydrate Lotion Sunscreen, it's the same smell--which apparently some people online love, so maybe I'm just weird. Smell it for yourself and decide. My pick of the three would obviously be the Daily Exfoliating Scrub; since it contains no vitamin C, there's no risk of irritation there for me. I was genuinely surprised and pleased with my smoother skin and that the scrubbing was very gentle, which sensitive-skinned types might like. After that, it would probably be the Daily Nourishing Moisturizer. It provides decent everyday sun protection at SPF 30, as well as a hygenic pump packaging. The Night Cream includes emollient mango seed butter, but you get less product for the same price and the jar packaging may compromise the potential antioxidant benefits from the Southernwood extract and vitamin C (this bit is debatable, apparently.) 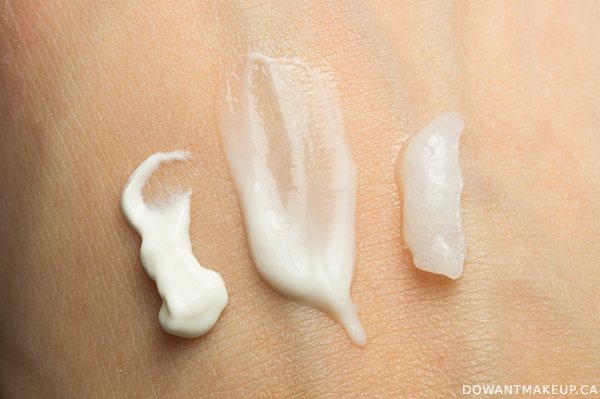 I wouldn't recommend either moisturizer for people with very oily skin (lacks oil/shine control, too heavy) or very dry skin (not hydrating enough); they would work best for people close to a normal-dry skin type. Last note, I haven't found much about Southernwood extract aside from a sponsored study, so there's not a lot of information at the moment to back up claims about its antioxidant activity or ability to repair environmental damage. Just an FYI to take the claims about the benefits of this particular ingredient with a grain of salt. Edit (Feb 25/15): MizzJ has pointed out that polyethylene, which is in the Daily Exfoliating Scrub, may not be great for the environment. I am not sure if the polyethylene in this product is present as microbeads for exfoliating purposes or as a binder/thickener (or if it even makes a difference what form it's in). There have been reports that polyethylene beads are too small to get filtered by sewage systems and end up in oceans and freshwater bodies (source). Some cosmetics companies--including Aveeno's parent company Johnson & Johnson--have pledged to work towards phasing them out. Interestingly, Paula Begoun says polyethylene is not as harmful for the environment as some may think, although the study she cites is from 2010. If you are concerned about polyethylene in cosmetics, you will probably want to avoid the Daily Exfoliating Scrub.